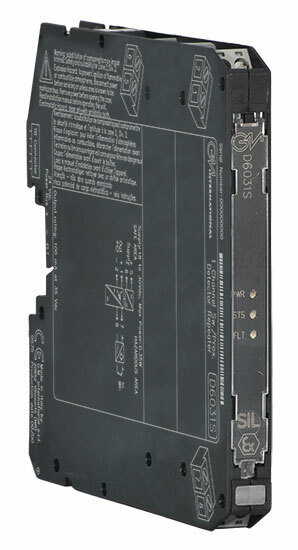 The single channel Switch/Proximity Detector Repeater D6031S module is a unit suitable for applications requiring SIL 3 level (according to IEC 61508:2010 Ed. 2) in safety related systems for high risk industries. when disabled the corresponding output transistor repeats the input line open or closed status as configured.